types: This is where XML types to be used in the WSDL document are defined. 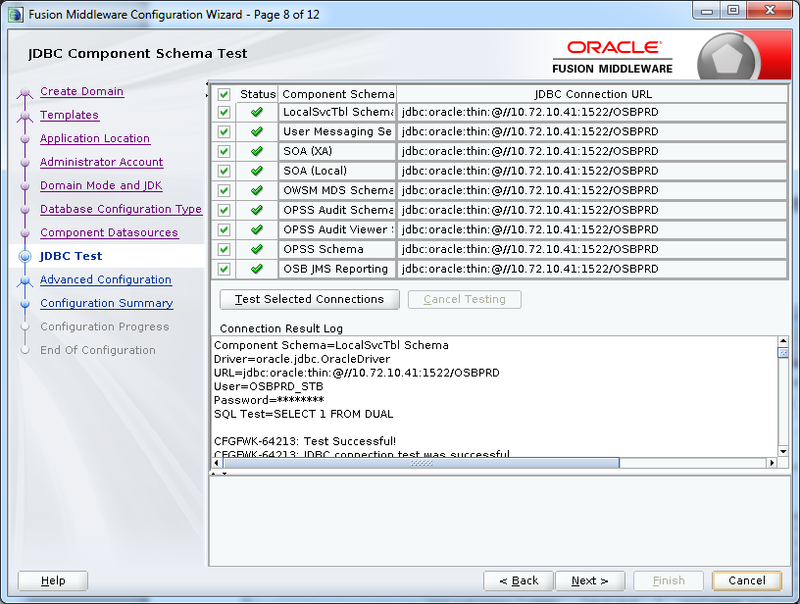 Traditionally, this has meant using XML Schema, but newer versions of WSDL also support Relax NG. message: This is the section where the input or output parts of an operation are defined, i.e. 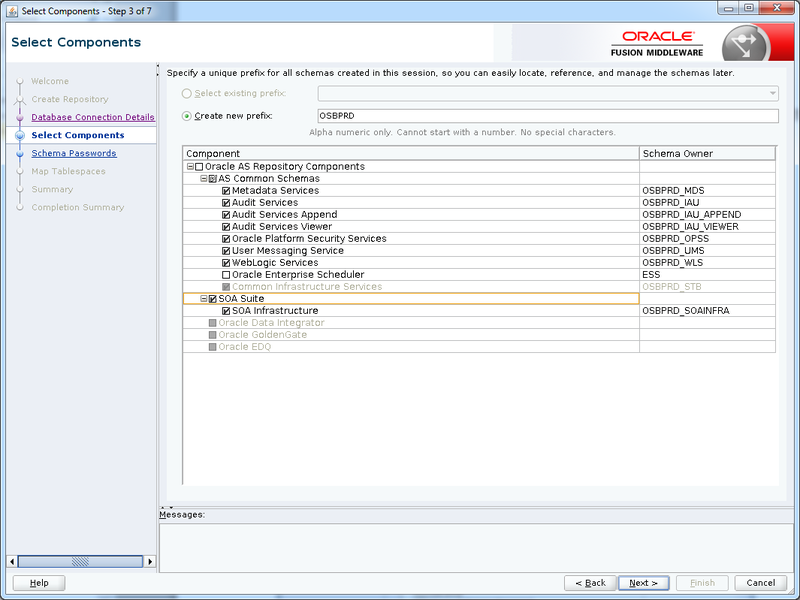 the "parameters" or "return types". 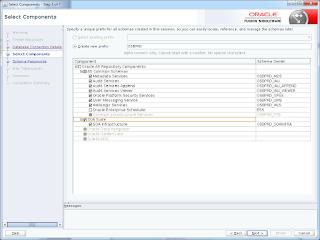 It may have multiple child <part> elements, though WS-I forbids the use of more than one part per message in a document literal style service. 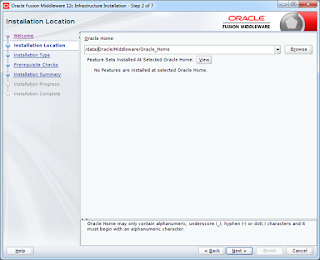 The <part> itself may have an element (referring to a qualified XML element) or a type (referring to an XML Schema type) attribute. 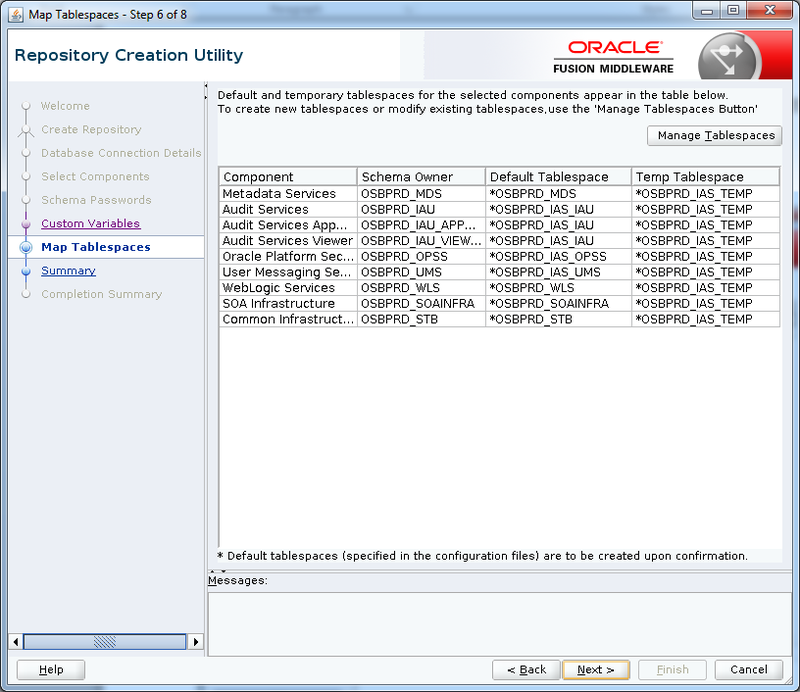 portType: Here is where the operations that a web service offers are defined in terms of messages (input and output, with faults). 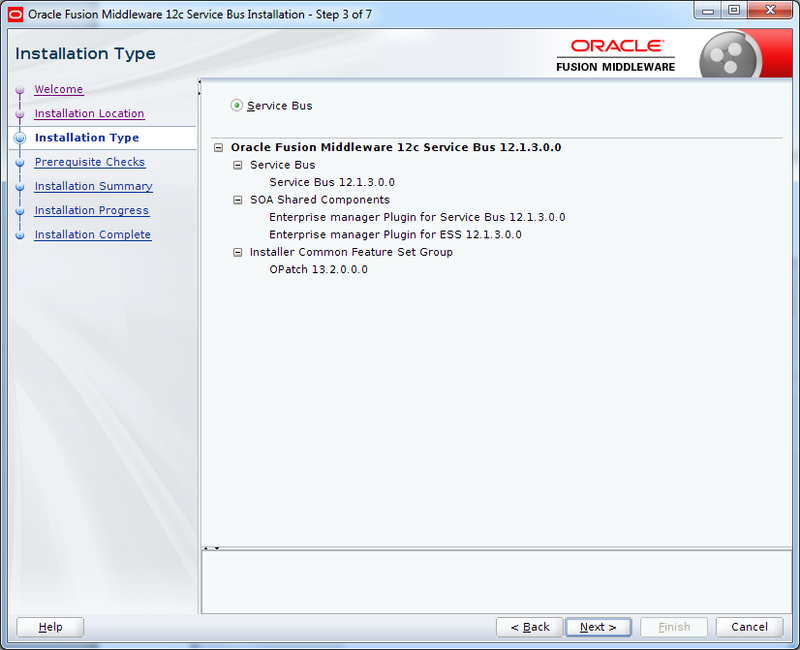 Faults (referring to SOAP faults here) are the web service equivalent of the exception in languages like C++ or Java; most SOAP toolkits will translate SOAP faults into exceptions at runtime. binding: This is the "how" of a service, specifying the binding of the operations defined in the portType(s) to specific protocols, such as SOAP. 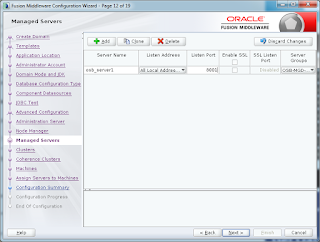 service: This is the "where" of the service, specifying the address where a bound operation may be found. 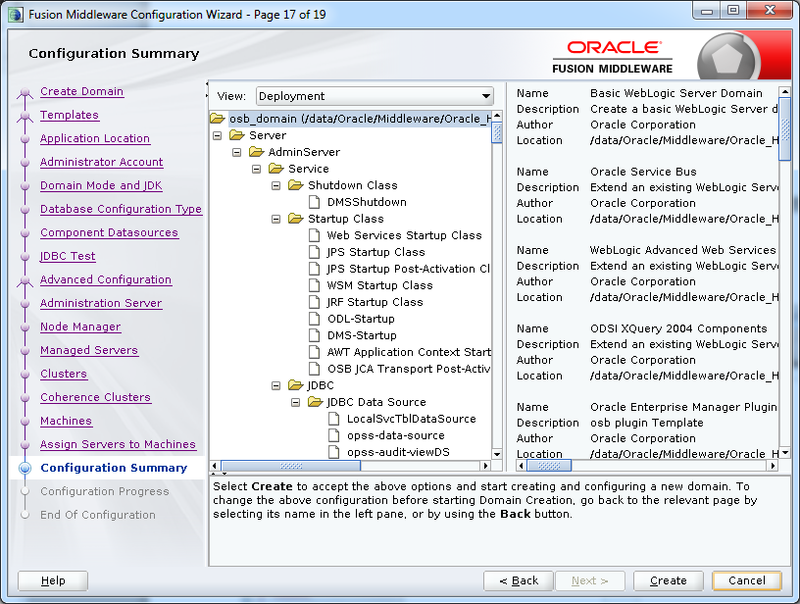 A WSDL document can be divided into "abstract" and "concrete" portions that by convention often are defined in two or more files (where the concrete file imports the abstract one). 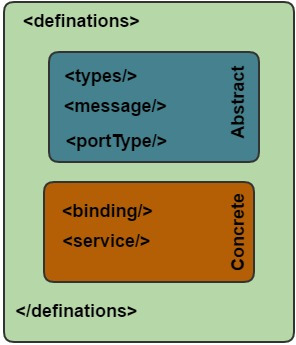 The abstract elements are <types>, <message>, and <portType> (or <interface> in 2.0); the concrete ones are <binding> and <service>. 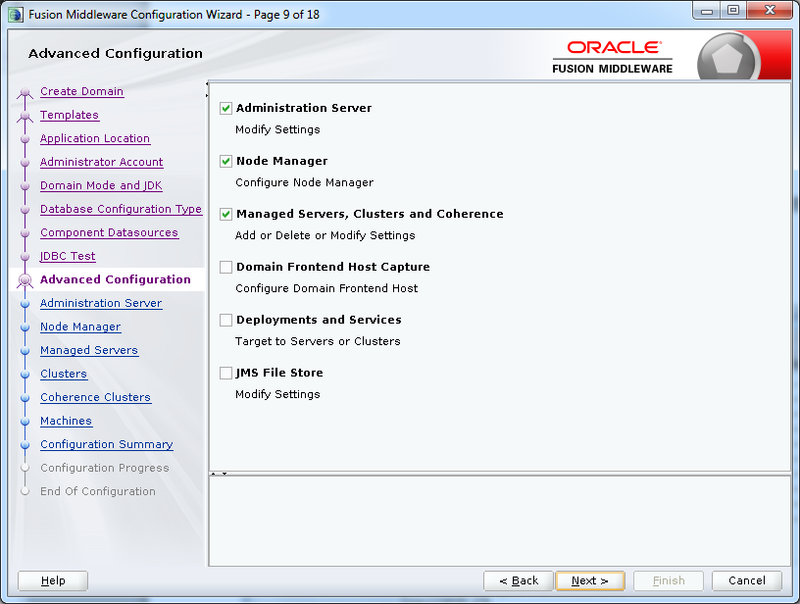 Separating these two sections allows for maximal reuse and flexibility in defining services. 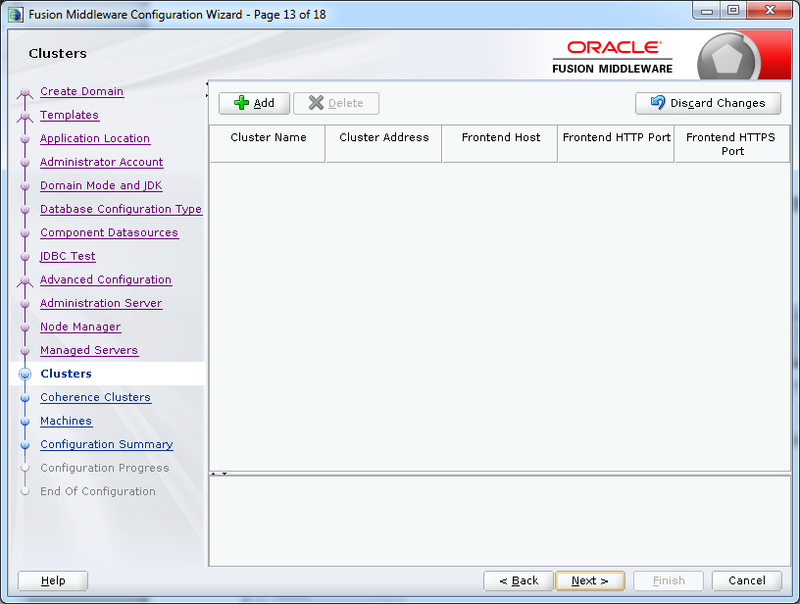 Sometimes there may be a need to increase the heap size of the integrated weblogic server within JDeveloper. 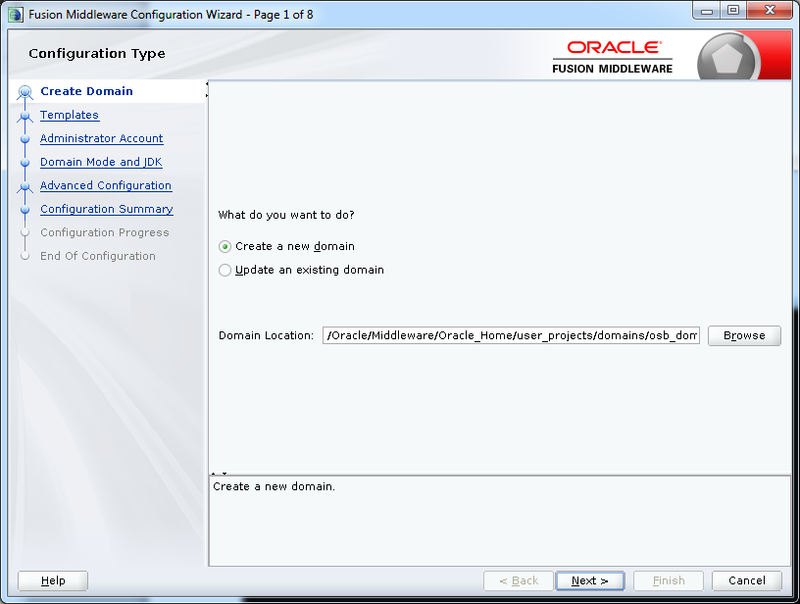 Obviously one can modify the setDomainEnv file in the domain’s bin directory. Check the blog if you want to increase the heap size using setDomainEnv file. 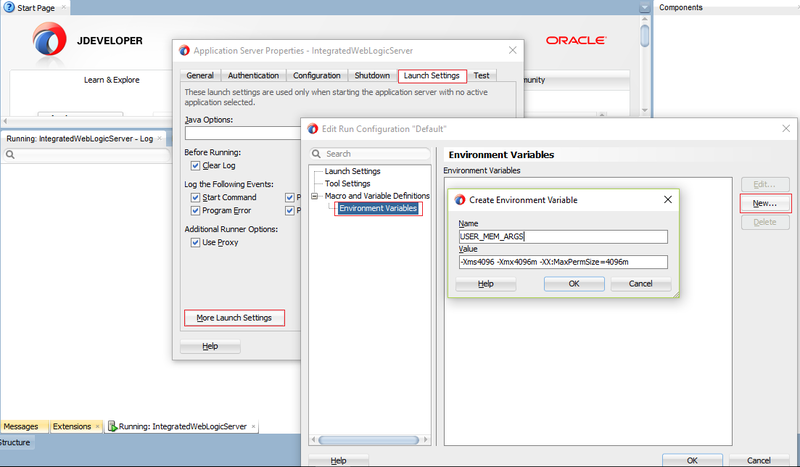 Note: Before applying these setting, all the application should be closed in the jdevloper. 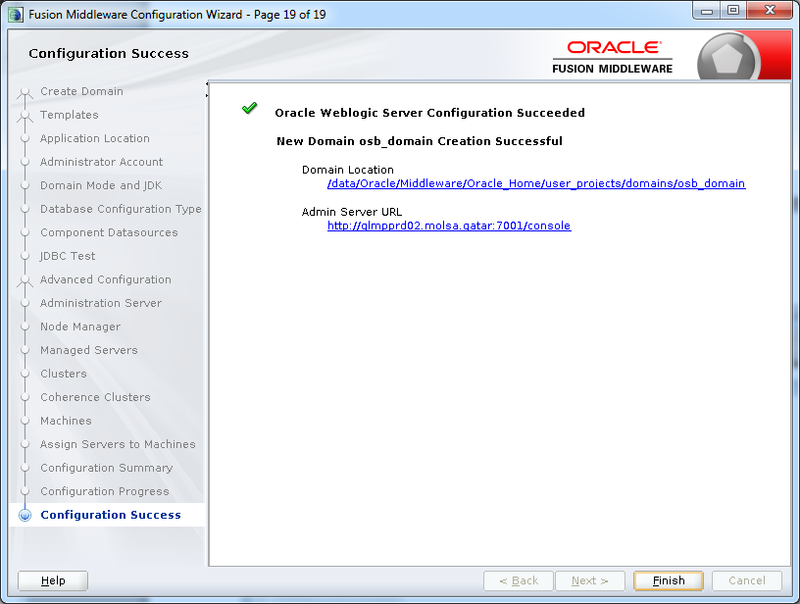 2) Right click on Integrated Weblogic Server -> Properties. 4) Now start the server and see the heap size got changed. It promotes the loose-coupling by eliminating the need to bind application-specific classes into the code. 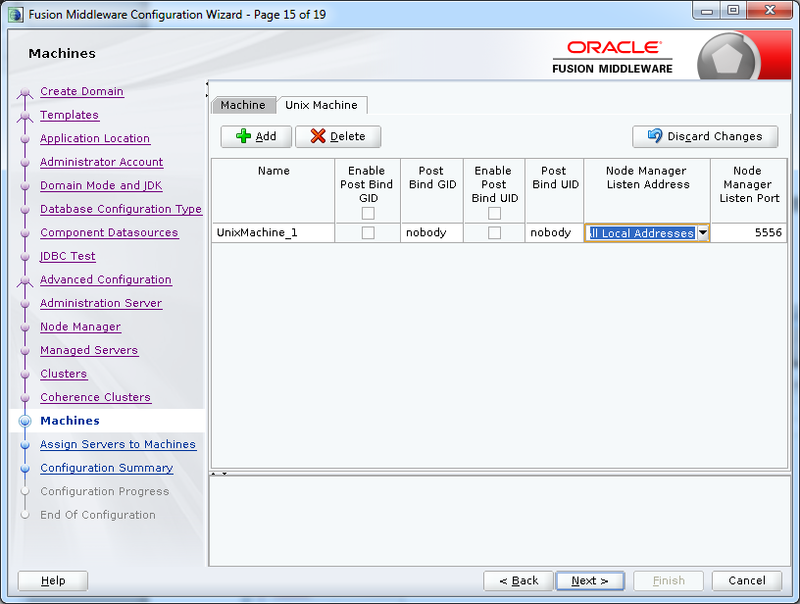 Let's see with the help of an example. 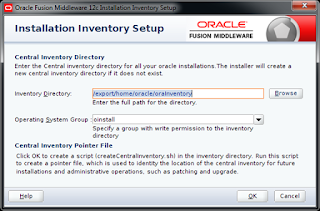 Let's create a MobileFactory class that will return an instance of MobileType(Android, IOS, Windows) object. Design Patterns are very popular among software developers. A design pattern is a well described solution to a common software problem. 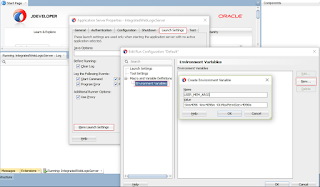 Sensible use of design patterns results in increased code maintainability, since in addition to being a good solution to a common problem, design patterns can be recognized by other developers, thus reducing the learning curve when dealing with a particular piece of code. Design Patterns are already defined and provides industry standard approach to solve a recurring problem, so it saves time if we sensibly use the design pattern. 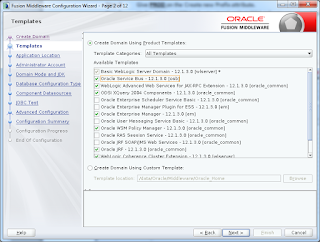 There are many java design patterns that we can use in our java based projects. Using design patterns promotes reusability that leads to more robust and highly maintainable code. 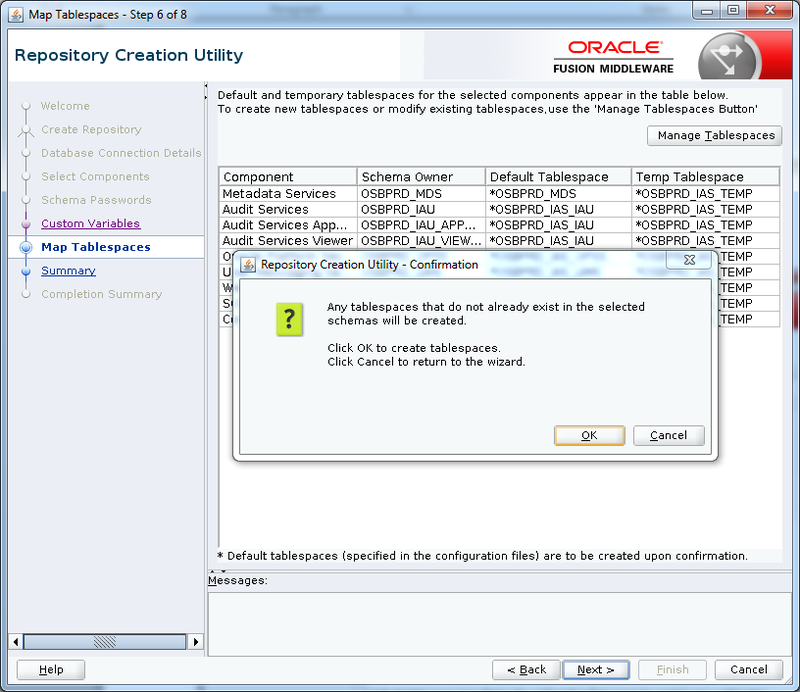 It helps in reducing total cost of ownership (TCO) of the software product. 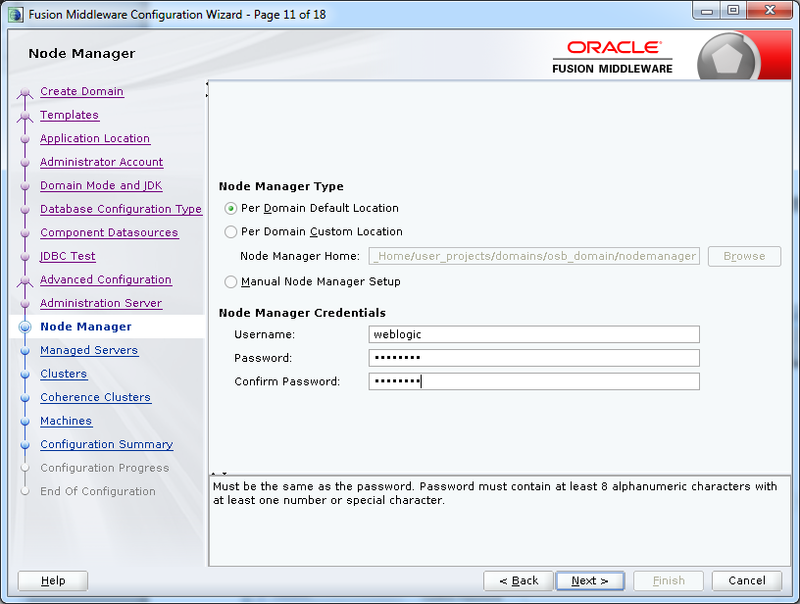 Since design patterns are already defined, it makes our code easy to understand and debug. It leads to faster development and new members of team understand it easily. 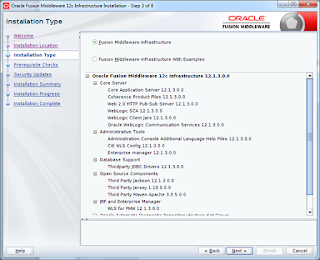 Types of design patterns include creational, structural, and behavioral design patterns. 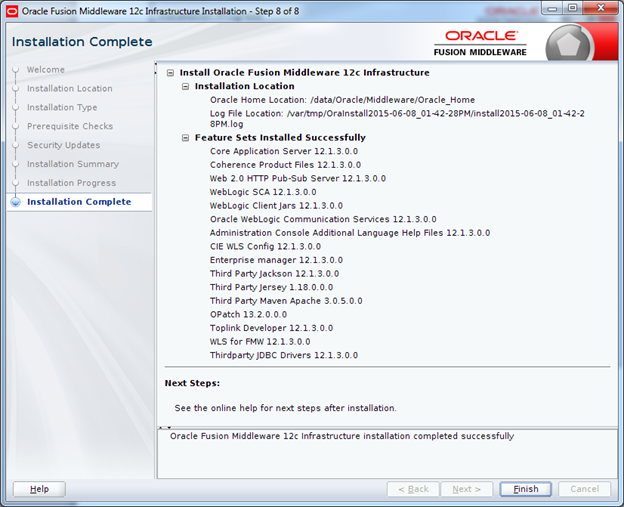 There are some prerequisites that you need to fulfill before staring the installation. 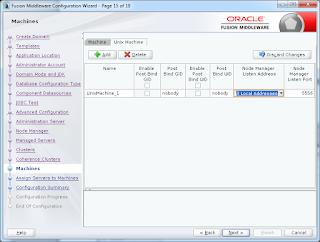 Xming is used to work with GUI if you are doing installation from windows machine. 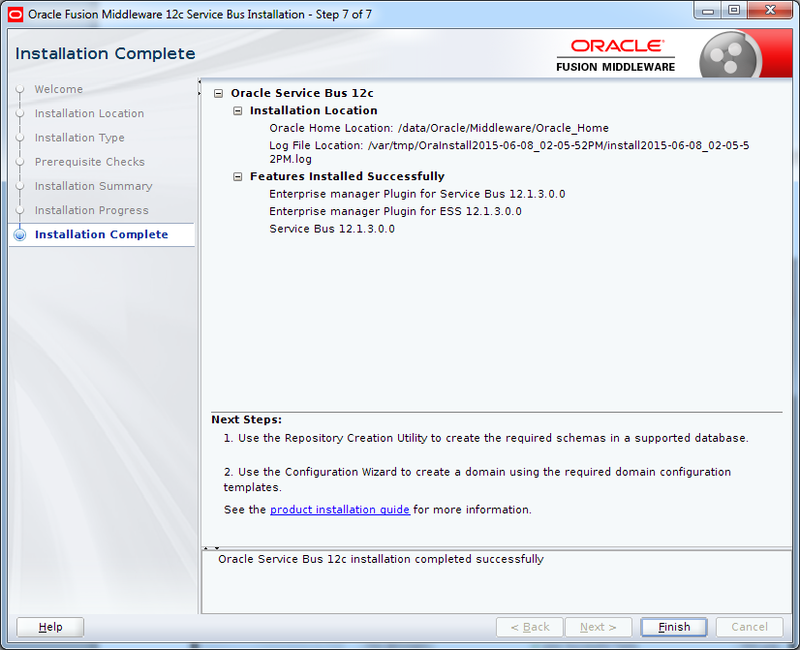 Follow the blogs to install and configure Oracle Service Bus. 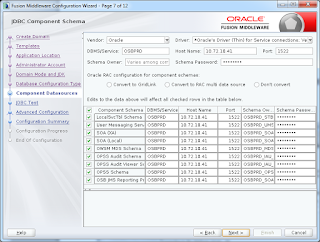 This blog describes how to create schemas that is mandatory to run Oracle Service Bus successfully. 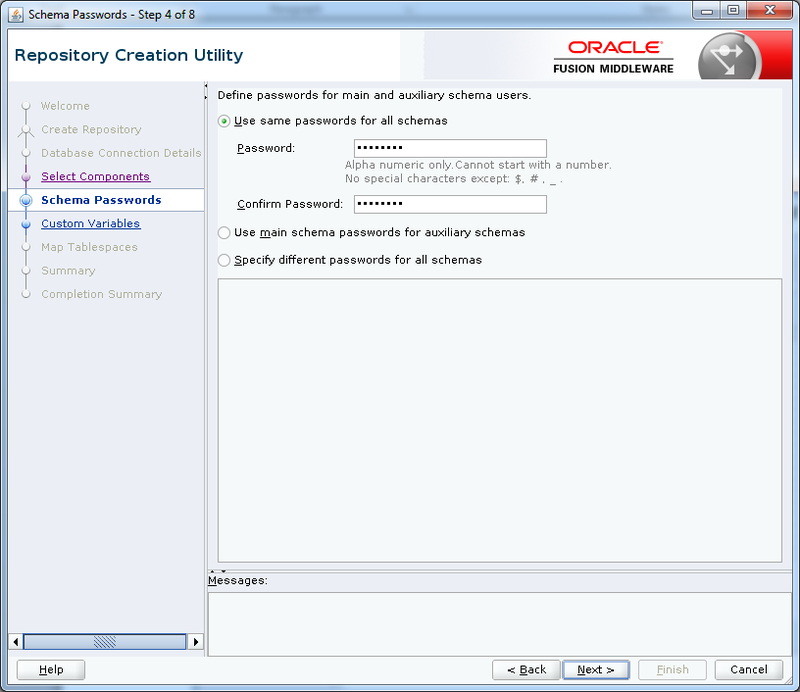 We can use Repository Creation Utility (RCU) to create the necessary schemas. 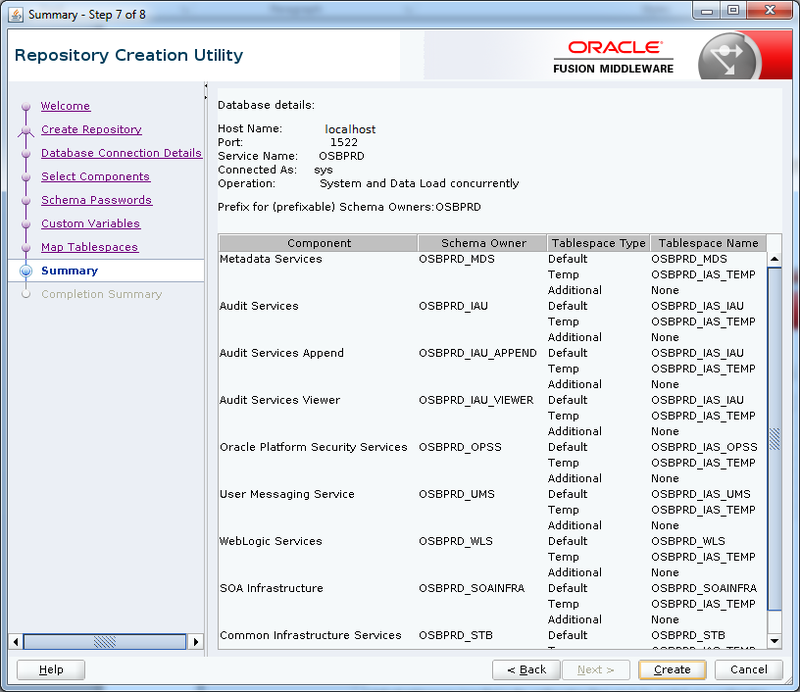 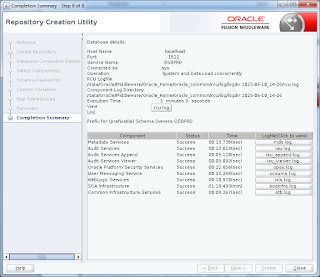 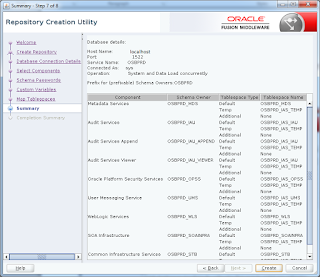 The RCU or the Repository Creation Utility is an Oracle utility that creates the schemas required for Oracle products to work along with the Weblogic server and OSB. 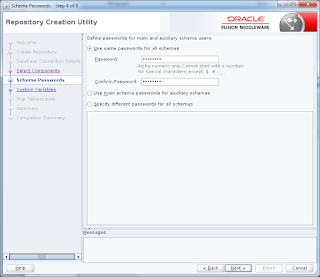 We have to create the schemas needed by OSB using this utility. 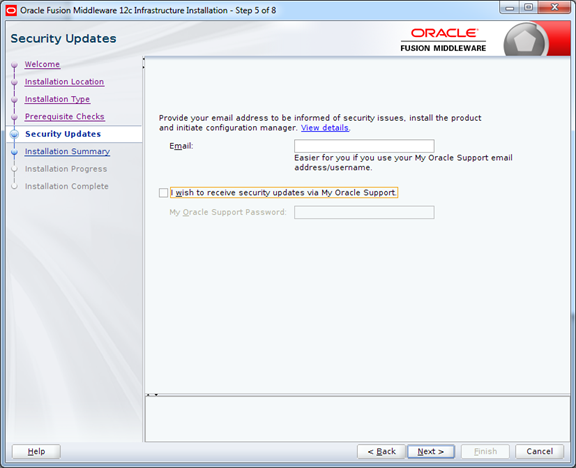 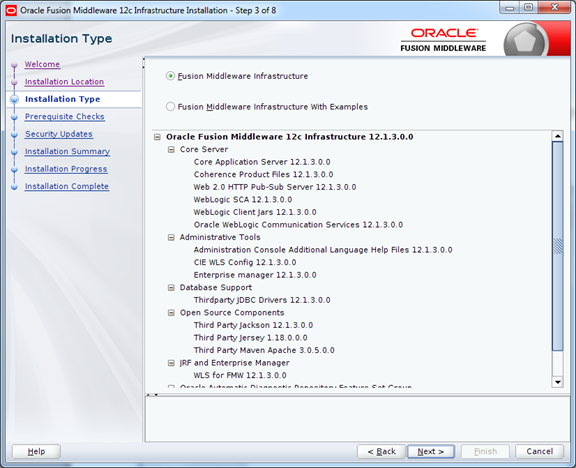 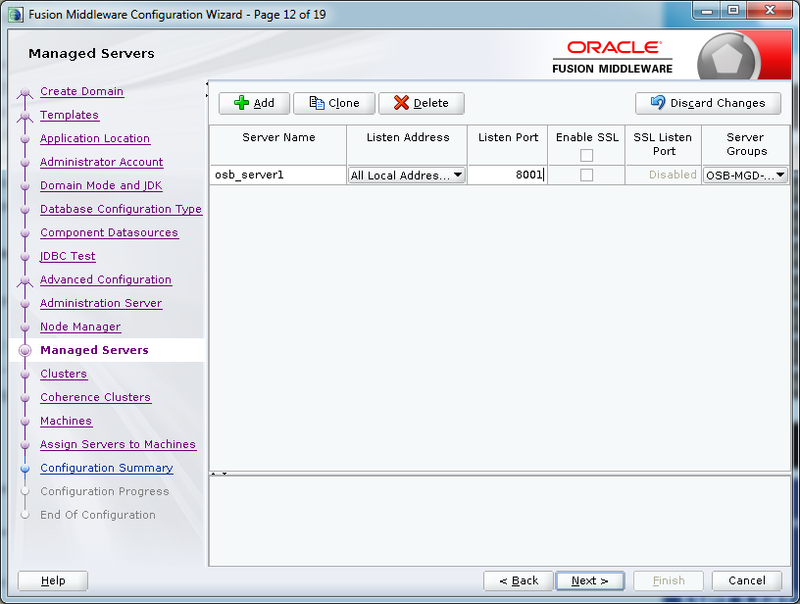 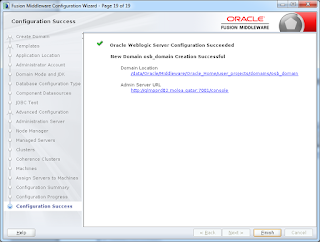 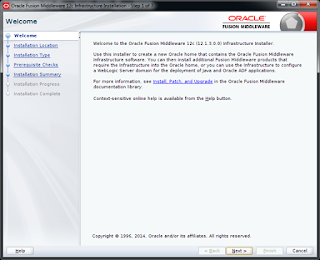 The RCU will be run from the Oracle middleware directory where the weblgic server installed. 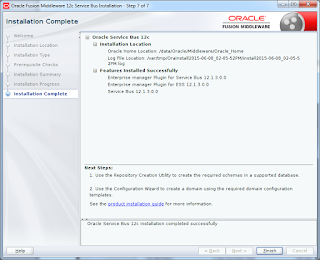 In my previous blog i have installed the Oracle Service Bus 12.1.3. RCU comes bundled with Oracle SOA Suite 12c installation and can be run from the $MIDDLEWARE_HOME/oracle_common/bin folder. 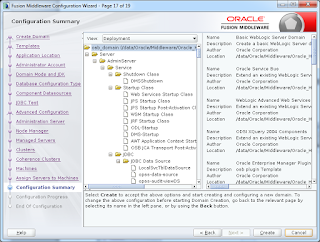 For windows its rcu.bat and for Linux its rcu.sh. 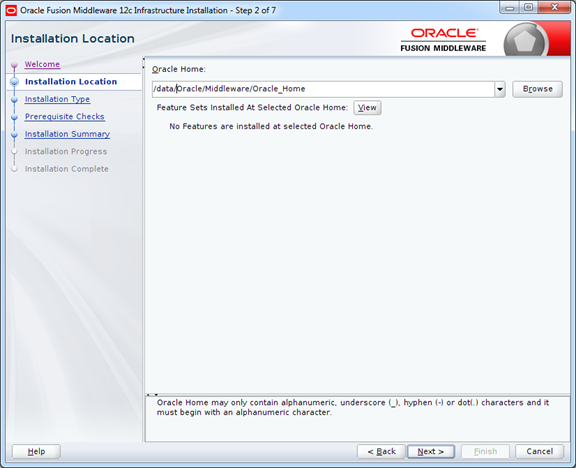 Before installation, make sure database is up and running. 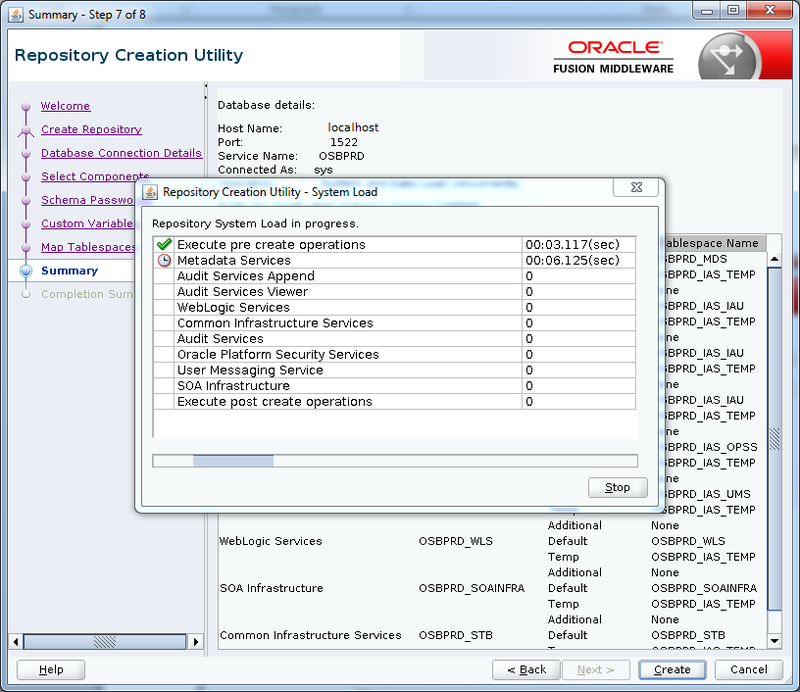 6) Select “System Load and Product Load” under “Create Repository” section and click Next. 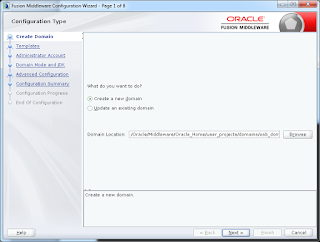 There are more options compared to the previous version 11g. 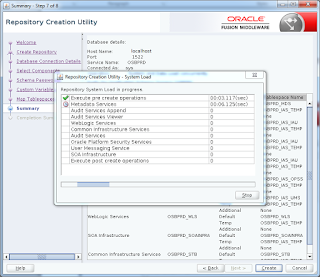 System Load and Product Load: Use this option if you have SYSDBA credentials. Prepare Scripts for System Load: This option will generate an SQL script, which can be provided to your database administrator. Perform Product Load: Select this option to load and create procedures, functions, tables, indexes and other objects within schema and run any action if you have a user with limited database privileges. 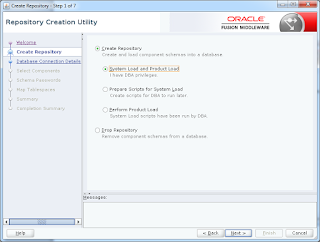 Drop Schema: Drop Schemas that are already created in the database. 10) Specify the custom variables for the SOA Infrastructure schema. For the Oracle Service Bus standard installation topology, accept both default values for the Database Profile (SMALL) and Healthcare Integration (NO). But we have changed Database Profile value to MED as per the requirement. 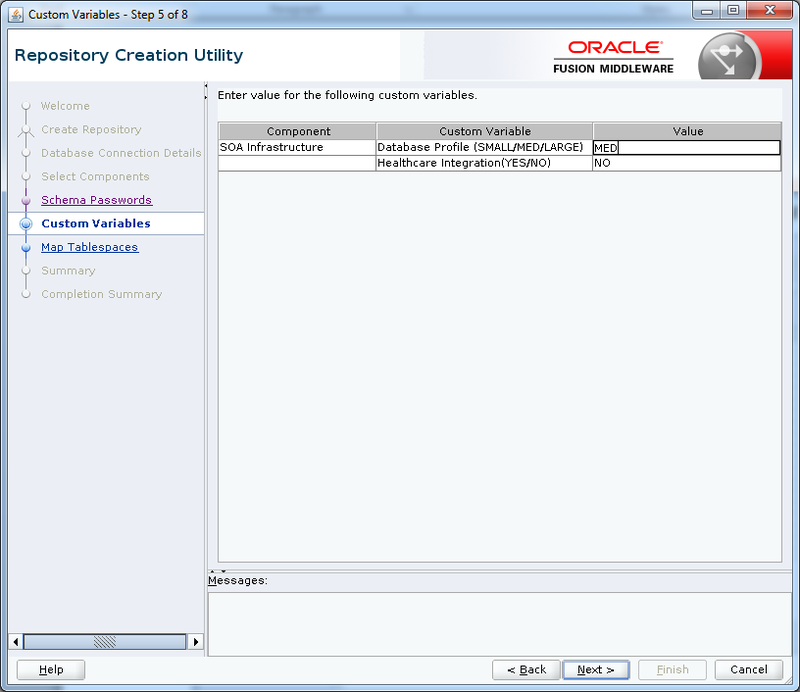 The Database Profiles custom variable SMALL or MEDIUM and LARGE. If you enter SMALL or MEDIUM as the database profile, that means the RCU performs no special actions when the schema is created. this options should be selected for informational purposes only. 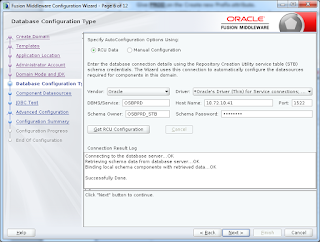 If you enter LARGE as the database profile, that means the RCU creates the SOA Infrastructure schema using an Oracle database feature called Interval Partitioning. 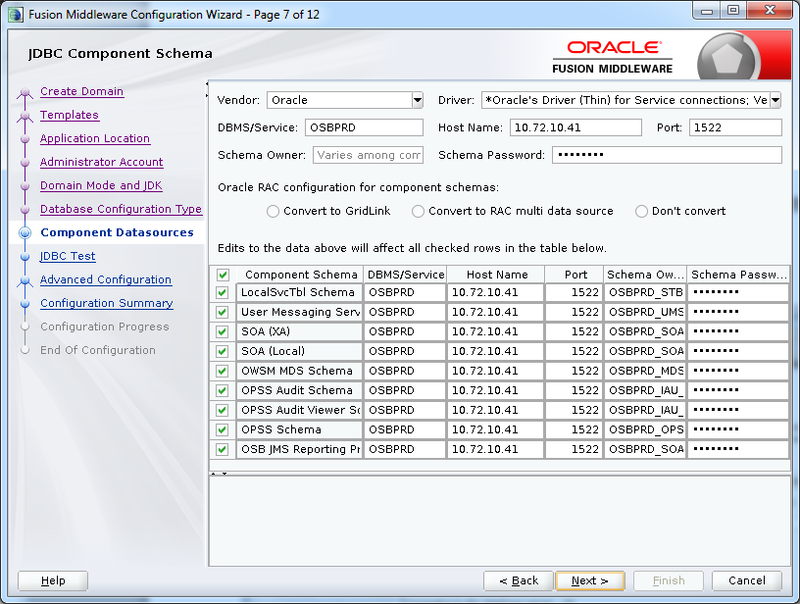 which improves the efficiency of the database when large numbers of composite applications must be processed. 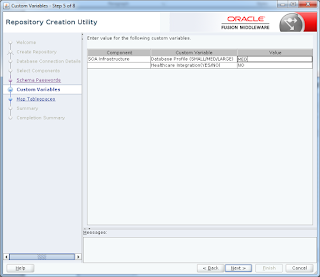 11) Verify the default table spaces and click Next. 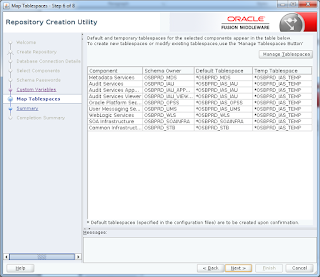 Customize table spaces by clicking Manage Table Spaces if required. 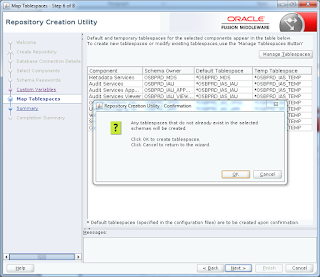 12) Click OK to confirm table space creation. 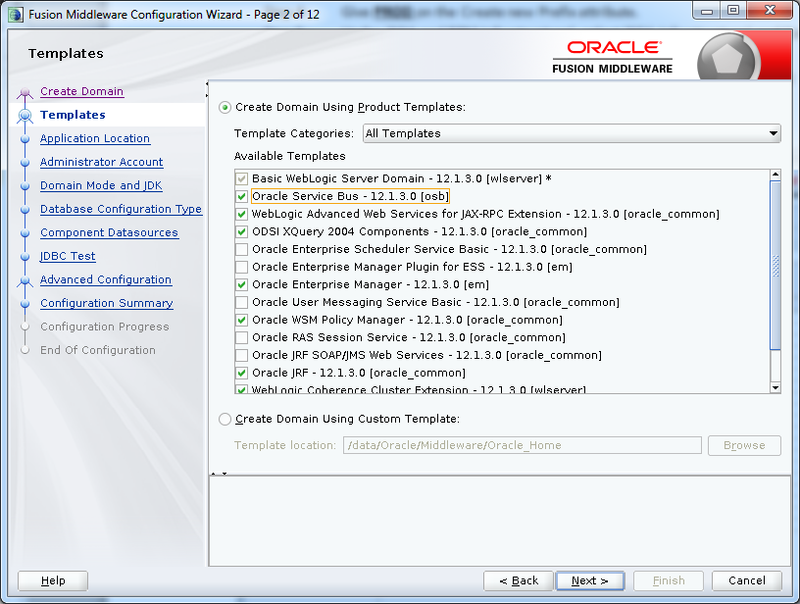 15) Verify the status of schema creation for each component and click close. This blog provides instructions for installing and running the Oracle installer for Oracle Service Bus 12.1.3. Oracle Service Bus 12.1.3 supports Oracle JDK 1.7.0_55+ version. Oracle JDK can be downloaded from the Oracle Software Delivery Cloud. 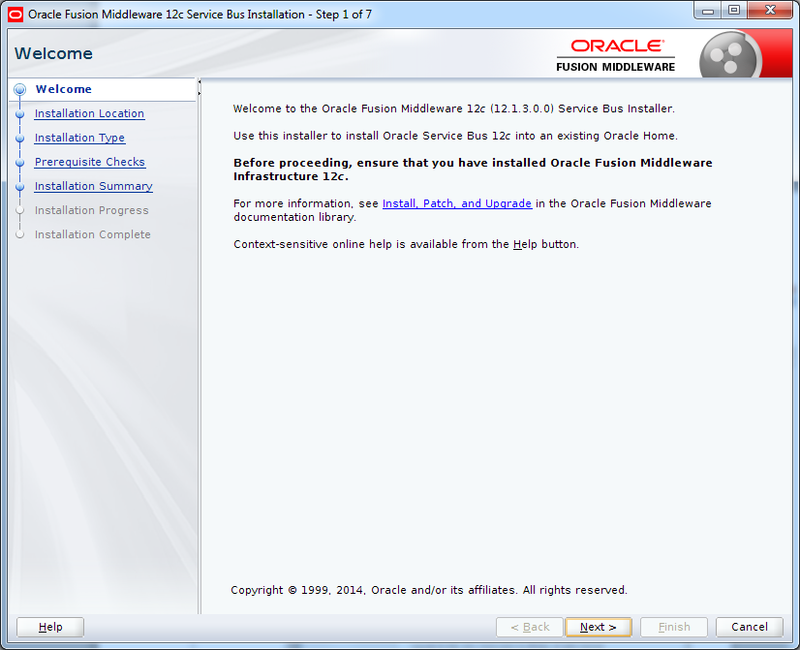 Let's see how to install, Oracle Service Bus 12.1.3 on linux machine. 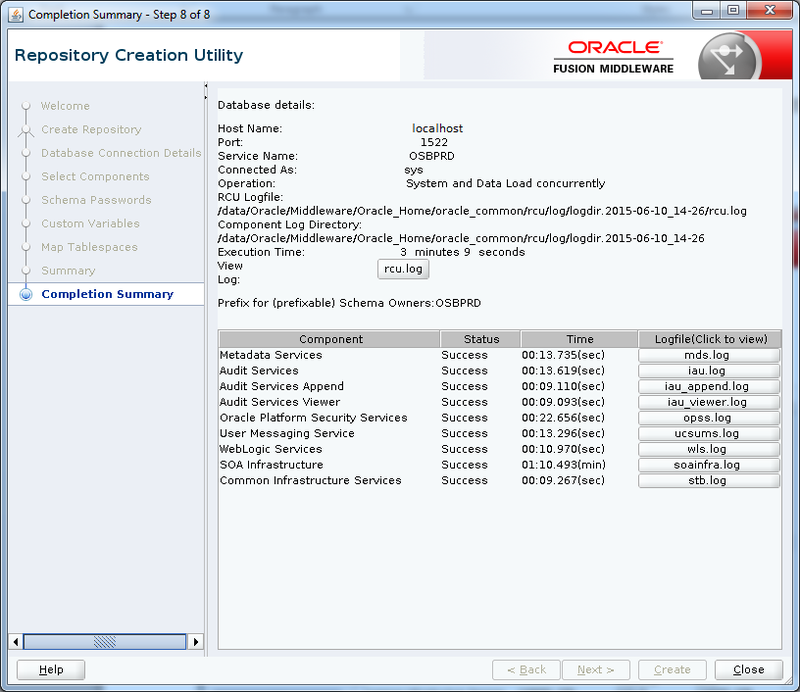 4) Login into the putty with the suitable privileges, navigate to the location where you have kept the Oracle Service Bus installer and run the below command from putty. 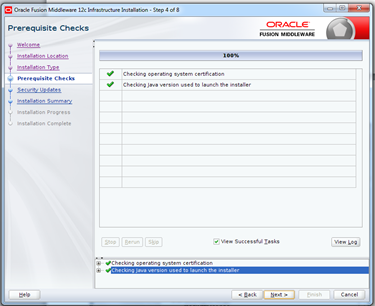 10) As the installer begins a progress bar is displayed on the screen and displays the new features of the Oracle Server Bus 12c.